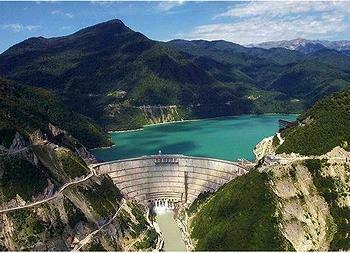 TBILISI, Georgia, March 5, 2012 (ENS) – The Georgian authorities are promising that 15 new hydroelectric power stations will create thousands of jobs and improve energy provision, but environmentalists and residents of the villages to be flooded have voiced strong objections. At least 20 villages are expected to be submerged by the reservoirs created by new dams in almost all regions of Georgia. Construction work will begin later this year. 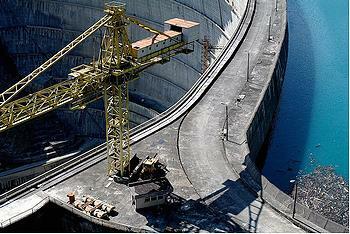 Officials argue that the hydroelectric schemes will make Georgia a leading regional energy exporter as well as meeting its own needs. President Mikheil Saakashvili has said the projects will also generate 13,000 jobs. But opponents of the dams say they will take a heavy toll on local communities, and claim the government’s impact assessment for the project was flawed. For the last two months, television stations have been carrying adverts arguing the case for hydroelectricity with clips of life in the 1990s, when frequent power cuts plunged Georgia into darkness, and people huddled around fires on the streets. Opponents of the plan, mostly ethnographers and environmentalists, counter that the dams will in fact damage Georgia’s past by flooding ancient buildings, wiping out endangered species and generally harming the environment. Prime Minister Nikoloz Gilauri has thrown his weight behind the campaign, telling a Turkish-Georgian energy conference on January 20 that the project would benefit Georgia and its neighbors. “I believe that the construction of all these hydro-stations will bring profit to investors, to our country, to Turkey, and to various countries. You could say that whereas before, we were the least successful country [in energy terms], now we are the most successful,” he said. Gilauri said around 40 contracts for the construction work had already been signed, mostly with Turkish businesses, he added. The government is expected to compensate people displaced by reservoirs, though figures have not been calculated. David Chipashvili of the environmental group Green Alternative warns of multiple problems caused by flooding settled areas which may also be prone to earthquakes. Chipashvili added that no guarantees had been written into government contracts that building jobs would go to Georgians. Green Alternative has gathered signatures from villagers opposed to the dams, including 410 families from Khaishi in the mountainous Svaneti province. They will have to move out of Khaishi when the village is flooded by the Khudoni dam. This hydroelectric scheme on the Inguri River was begun in 1979 but later shelved, and the government now plans to complete it. Nugzar Kvirikadze, a Tbilisi resident born in Khaishi, said he did not want his family home and ancestors’ graves to disappear underwater. “If I saw any benefit for the country in this, then I would stop, but it’s clear that we’re being lied to,” he said. 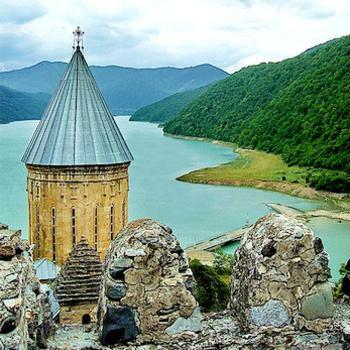 Kvirikadze compared the project to the Paravani dam, under construction since 2009 in the southern Samtskhe-Javakheti region, which he said had brought little benefit to the community there. Deputy Energy Minister Mariam Valishvili attempted to address local concerns about the Khudoni dam at a public meeting in November. “Georgia will become the biggest exporter of clean energy in the region. Investment of around a billion dollars, from major investors, will turn Georgia into a country with a stable economy that is attractive for investment,” she said. She reminded residents of past power shortages and contrasted this with the present situation, where Svaneti has electricity 24 hours a day. “This didn’t happen by waving a magic wand. There is rising demand for electricity,” she said. She was backed up by Revaz Arveladze, head of Georgia’s Academy of Energy, who said energy security is a precondition for the country to develop. “It’s become a tradition for the construction of a hydroelectric station to be met with objections from environmentalists and local residents,” he said. Energy Minister Alexander Khetaguri insisted that proper legal procedures had been followed in preparation for the dam construction. “Environmental impact assessments have been carried out, and once that was done, permission was granted in line with the law. All the conditions have been met,” he said. But NGOs claim the impact assessment process was far from satisfactory. In a statement, 26 local and international NGOs said the studies of dams’ effect on the environment, population and surrounding areas were neither comprehensive nor convincing. Hydroelectric schemes built in previous decades sparked similar controversy, and those who remember them fear the mistakes made then are going to be repeated. Nugzar Suaridze lives in the Dusheti district northeast of Tbilisi and close to the Jinvali power station, the last one to be built by the Soviet government in the 1980s. The reservoir submerged dozens of villages, and as Suaridze recalled, “It was hard to imagine anyone protesting against anything in those days, but even then there were people who spoke out against it. Sadly, they were not successful – the ideological machine said it would help develop the region. Residents paid a heavy price for the dam’s construction, he said.